Mosquitoes are not only pesky but in the case of diseases such as West Nile Virus and Yellow Fever downright dangerous. Chemical repellents such as DEET are often classified as a class D carcinogens. Mosquitoes are more active at night in rural areas, So for those who spend time outdoors, especially camping and traveling, Instead of just carrying a flashlight, carry one with a built-in electronic ultrasonic mosquito repulsion system. Revised gap: Utilize existing commercial flashlight bodies with internal void space wherever possible - ideally large lantern-size with excellent battery capacity. (For the One Concept) To repel DOGS - utilize modified commercial Lantern bodies with adequate battery capacity, consider optional charging and emergency utility functions if possible. 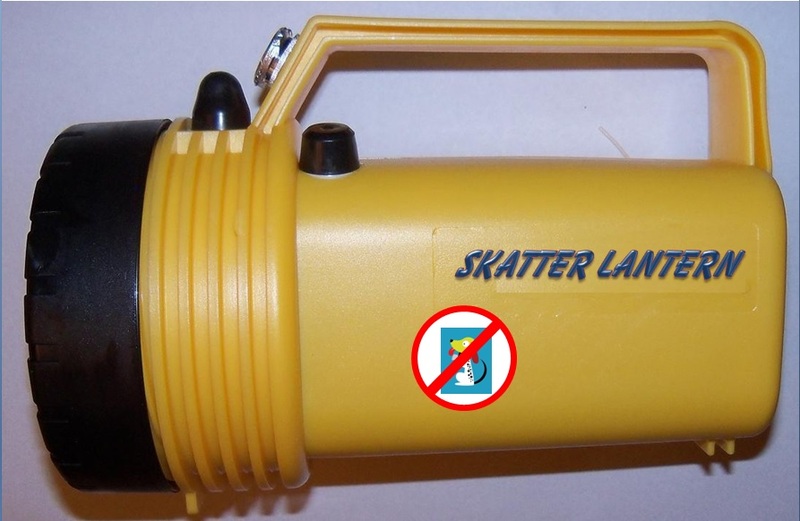 After research and refinement of an appropriate branded name - I have confirmed the name of the product the SkatterLantern. The gap developed originally as a single useful extended-function piece of camping or outdoors equipment.